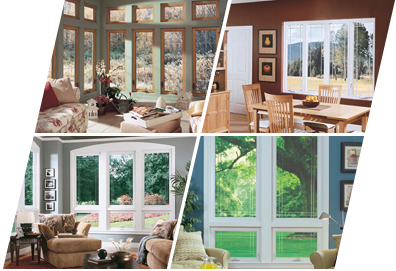 Whether you are remodeling, renovating or building a new home, vinyl windows deliver unmatched beauty and state-of-the-art performance for energy savings, reduced maintenance and a more comfortable home. Each window we select is custom-made from virgin vinyl resin combined with the best stabilizers and impact modifiers for consistent color and strength. Our chosen insulated glass units use the latest technology to ensure the best possible insulation performance and seal strength. We feature a wide array of styles, decorative options, complementary trim selections and performance packages for a fully customizable product to suit your personal style.